JIRAS is a bi-annual journal that provides publication outlet for researchers in field of technology, management, science and humanities and law. This journal is to provide an intellectual platform for young researchers and fresher’s to unleash their untapped potentials and recognizing them self at the embryonic stages and to communicate the scientific finding and interpretations to the universe for their applications in to reality. 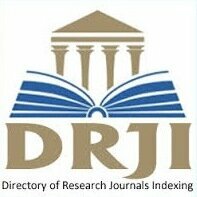 JIRAS is a unit of Universal Innovative interdisciplinary Research Society (UIIRS). The journal aims and invites manuscripts from various researchers, practitioners and academician throughout the world focusing on innovative research application which will be of real solutions to social problems. JIRAS is a pear reviewed journal and follow a triple blind review process. All the articles and papers are initially screened by editorial committee and the papers are reviewed by relevant experts in that specialized field. Originality of the research paper will also be verified by electronically. Mission: Our mission is to promote quality research and also to document the quality research for future generation. We spread our hands for all research areas of learners from different arenas of education. 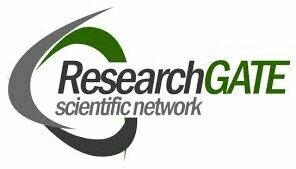 Our aim is to provide a best global platform to share the knowledge in the emerging field of different research areas. Plagiarism: The editors of Journal of Innovative Research and Solutions (JIRAS) use plagiarism detection software on all submitted manuscripts. About Editorial Board: The editorial board is constituted by eminent professors of various disciplines who are currently working and contributing their finding in various fields. The chief editor is Professor Dr.V.Srinivasan. ME, Ph.D, MBA, MIE having 22 years of experience in research industry and academics. The Managing editor is Professor Dr.R.Kausalya. M.Sc, MBA, Ph.D, FICER, is a statistician having 26 years of experience in research industry and academics.